What a great location! This mid-1970s condo building is behind the White Spot - near to downtown but very much within the desirable Newcastle area of Brechin Hill. You can walk right across Stewart Avenue to the Harbourfront Walkway, and on to downtown within a few minutes. Bryden Court has 3 floors above an underground parking garage and games room. 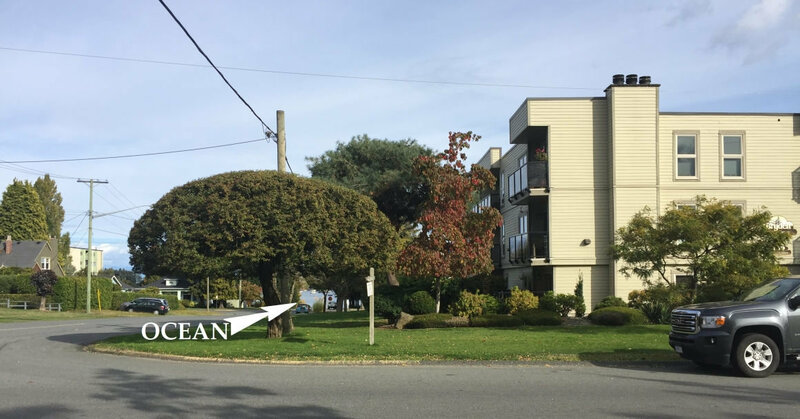 The units on the north side (and some of those on the east side) are most desirable because they have ocean views and face onto a wide road. This is a building where the north-facing units tend to be the brightest! There are 2-bedroom, 2-bathroom units with about 1120sqft, and there are 1-bedroom, 1-bathroom units of about 870sqft. If you'd like to know when new listings are available at Bryden Court, just contact me.